1-07. Mikhail Matiushin & Kazimir Malevich & Alexei Kruchenykh - Other Excerpts And Final Opera With "Military Song"
2-21. Semën Kirsanov Reads Velimir Khlebnikov - Not To Panel! 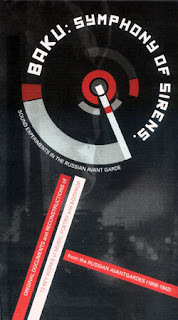 tSubtitled: Sound Experiments In The Russian Avant Garde -- Original Documents And Reconstructions Of 72 Key Works Of Music, Poetry And Agitprop From The Russian Avant Garde 1908-1942. "These two CDs and 72 page clothbound book offer the most comprehensive presentation of the experiments and innovations in the exploration of sound by the historical Russian Avantgardes ever attempted. This publication is based around the sounds themselves. 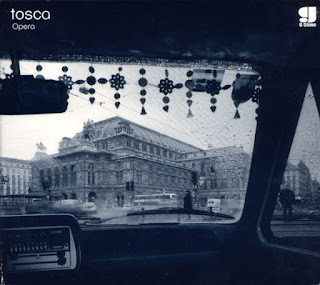 Though much was not documented at the time, and some has been lost, what remains is collected on the second CD, which centres around Dziga Vertov's prescient environmental sound composition for the 1930 film Enthusiasm..The Dombass Symphony -- and also collects together for the first time 22 original recordings of Mayakovsky, Mossolov, Jakobson, Khlebnikov, Lenin, Lunacharsky, Kollontay, Trotsky, Pasternak, Meytuss, Akhmatova, Mandelstahm, Naum Gabo, Shostakovich and others. But what makes this collection doubly valuable, and unique, are the contents of CD1, which consists of 40 painstaking reconstructions -- made by the Laboratorio de Creaciones Intermedia, Dept. of Sculpture at the faculty of Fine Arts in Valencia, Spain -- of documented sound-works that have subsequently been lost, above all the now legendary 'Symphony of Sirens' at Baku, by Arseny Avraamov. This massive open air composition, for two artillery batteries, several full infantry regiments, all the foghorns of the Caspian flotilla, several sea-planes, twenty-five steam locomotives, multiple choirs, arrays of pitched steam whistles and all the city's factory sirens can now, for the first time, be approached as a physical event through this careful and accurate spatialised audio reconstruction (using original contemporary source materials) as well as 39 other priceless lost works, including the legendary Victory over the Sun (mayak &c) and other works by Vertov, The Orchestra of Noises, Prokofiev, Mayakovsky, El Lissitsky, The Nothingists, Jandinsky, Malevich, Rozanova, Larionov, the Psycho Futurist Group, Kamensky, Jakobson, and others. The CDs give body to Miguel Molina Alarcon's comprehensive overview of the complexity and breadth of the many early C20 Russian avantgarde movements, and there are extensive detailed notes and contexts for all the individual recordings, as well as biographies of the artists, additional work-notes on the process of the Baku reconstruction, a bibliography, rare photographs, web research links, related artwork, facsimiles of contemporary documents, a comparative timeline of European and Russian Avantgarde movements, and the first English translation of an article by Avraamov about his events. Apart from a general appeal, this is a work particularly suitable for libraries, educational institutions and galleries."